Any Day Deep Sea Day fishing trips depart Hillarys Boat Harbour at 6:30am Monday - Sunday. Drift fishing over coral reef we target many species such as Dhufish, Pink Snapper, Baldchin Groper, Queen Snapper and Mulloway. Deep Sea Night Fishing Charter Hillarys Boat Harbour at 5:30pm (weather and bookings dependant) and return at 2:00am on Fridays or Saturdays. 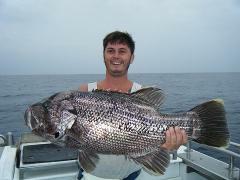 Drift fishing over coral reef and we target many species such as Dhufish, Pink Snapper, Mulloway. 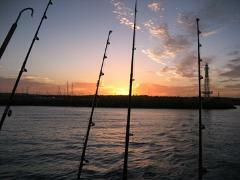 Half Day Deep Sea Day fishing trips depart Hillarys Boat Harbour at 6:30am and return at 11:30am. Drift fishing over coral reef we target many species such as Dhufish, Pink Snapper, Baldchin Groper, Queen Snapper and Mulloway.